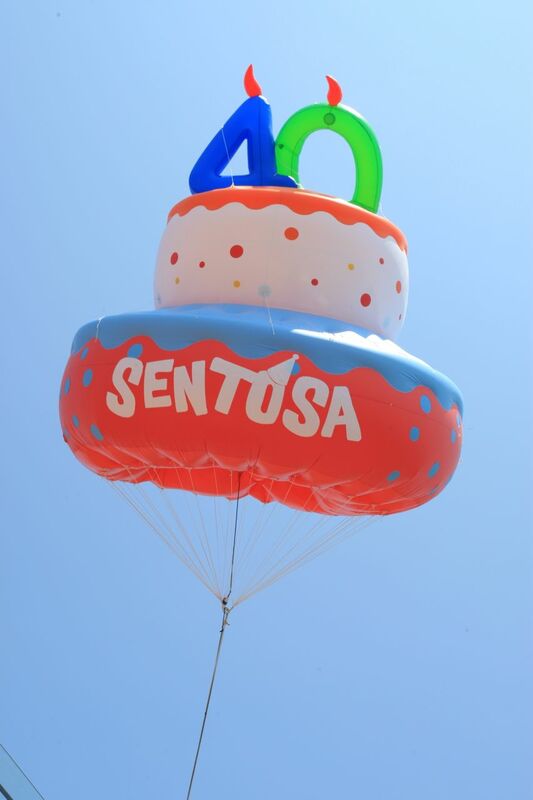 On 1st September 2012, Sentosa celebrated her 40th birthday with many interesting and exciting activities on the sunny adventure island Sentosa. Visitors to Sentosa were given free access for one day on 1st September 2012 and many visitors flocked over to Sentosa for the fun and festivities. 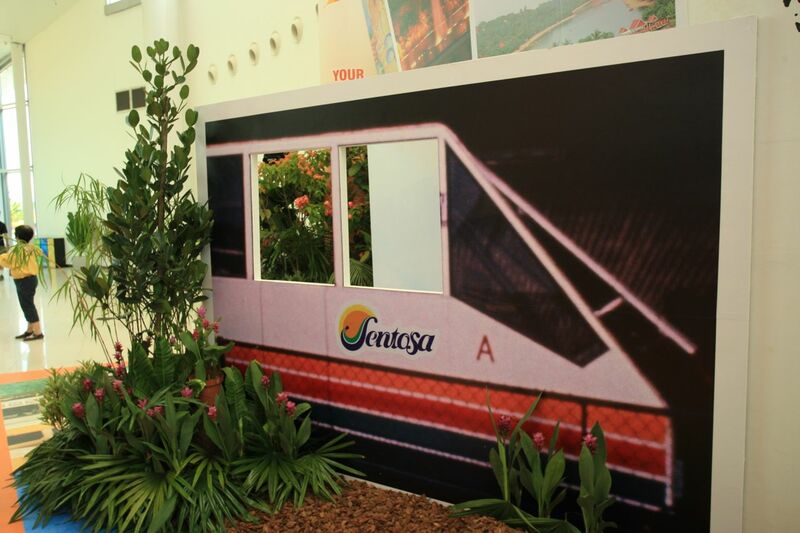 There is a Sentosa history exhibition/showcase at Vivo City, on the third floor where Sentosa Station is located, near to the entrance for Sentosa Express. It was going back in time for many of us, who had very vivid memories of Sentosa in the past such as the Sentosa Monorail. It was a good time to look back in time, the changes and transformations that Sentosa went through. The 40th Anniversary Exhibition ends on 30th September 2012, do check them out before you cross over to Sentosa! 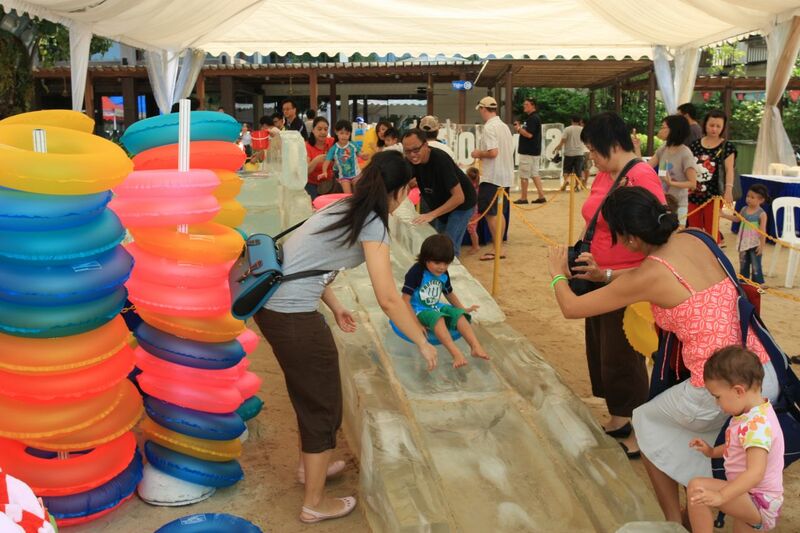 There was a special feature that happened on 1st September 2012, first-ever outdoor ice slide by the beach in Asia, located at Palawan Beach. There were two slides, one was 5m and the other was 8m. The ice slide was popular especially with the young children. At Palawan Beach, there were many more fun activities for the children and there were performers to entertain them! Flea for Good was held at the Sentosa Boardwalk on 1st September 2012 too! Part of the proceeds from the flea market goes to an adopted beneficiary. The Sentosa Buskers Festival was back again in conjunction with the 40th birthday celebrations too! They would be in action from 1st to 8th September 2012, do visit Sentosa and catch them in action! More information on the Buskers Festival can be found here! There are many more activities and events happening during Sentosa’s birthday month. Do drop by their website and check out more on their events schedule and what’s happening on Sentosa! 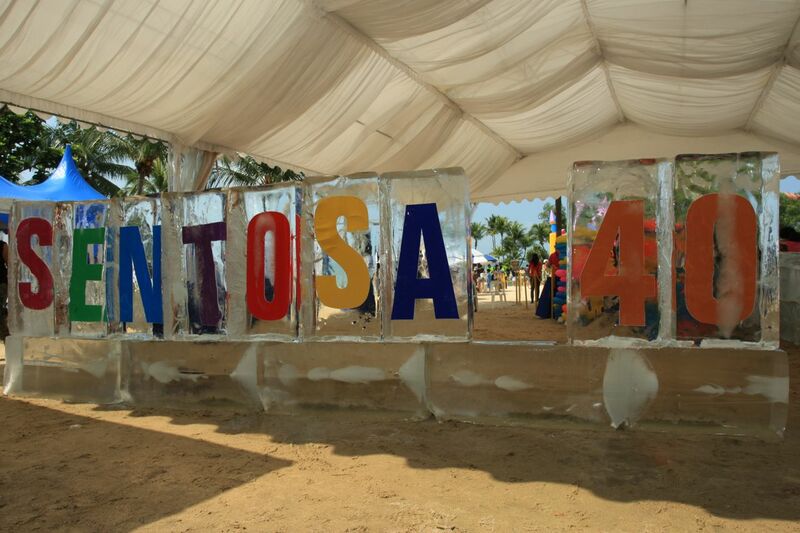 Happy 40th Birthday Sentosa!! Have a great celebration! !